Three years ago Tzvia, a star in the Israeli theater scene, lost her family in a terrible car accident. Out of control, a truck crashed into a car being driven by her husband. Also in the car was her only daughter, pregnant with her first child. The truck driver's name was Israel. Three years after the tragedy, Israel is released from jail. He appears at Tzvia’s house with the sole purpose of asking her for forgiveness. The meeting between the two is highly charged with multitude of conflicting emotions and soon develops into a wrenching - sadistically symbiotic - and manipulative relationship. Tzvia refuses to forgive him. Israel doggedly persists until he is left with no other alternative - desperation. 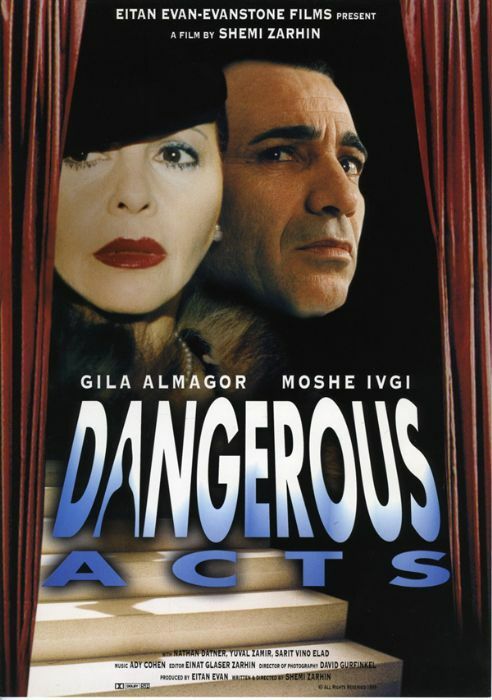 DANGEROUS ACTS, a psychological, dark, intense and “edge of your seat” thriller interweaves the searing plot with musical vignettes providing welcomed dramatic relief. The combination creates a motion picture which reaches out, grabs and shakes you all the way through to its astonishing climax.